La Salle Community Melbourne - Is a residential community in the heart of Malvern in Melbourne (AUS) that invites Young Lasallians to live together in community, serve together in a common mission and share their faith together. Members go about their everyday commitments but are accompanied by each other in this shared, communal living arrangement. Lasallian Youth Ministers - are in paid positions and are available in Lasallian schools to animate the Lasallian mission as an older brother or sister to the students and staff within the school. They are provided with a formation program to help them carry out their responsibilities as part of a vibrant Youth Ministry team. Lasallian Interns and Volunteers - There are numerous ways for young people to get involved in the Lasallian mission through our internship and volunteer programs. These are opportunities to engage in our Lasallian vocation, ranging from volunteering at retreats in the local area to an 11 month volunteering program on the 'Share The Mission' program. Lasallian Brothers and Sisters - Some individuals choose to pursue religious life as Lasallian Brothers and Sisters. Retreats and Reflection days - The Lasallian Youth Ministry team is available to facilitate retreat and reflection day experiences from 1-3 days, either at schools or off-site. The theme of the retreat can be tailored to fit the particular needs of students in a specific year level, focus on a desired theme and context. Each day provides a unique experience for all participants to contemplate their lives through the Lasallian Catholic tradition. Camp La Salle - is an annual event for Year 7 & Year 8 students who may have had a challenging year or perhaps should be rewarded for improvement and/or commitment to school life. The camp is designed for students who will benefit from interaction with other young people from Lasallian schools, would enjoy working in teams and sharing their gifts and talents. Camp La Salle is currently held in Adelaide, Melbourne, Sydney and New Zealand. 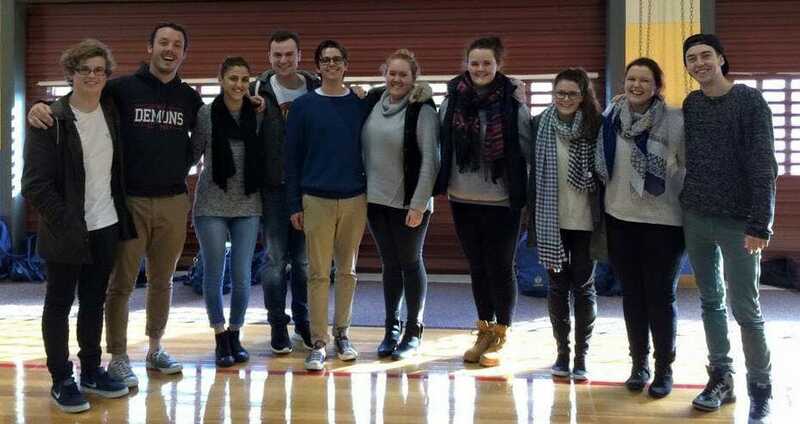 Leadership programs - The Lasallian Youth Ministry team has successfully delivered an annual 5 day leadership program for Senior Students, Lasallian Youth Leaders' workshops and Lasallian Encounter Days, as well as stand-alone leadership training days. Currently we facilitate a Lasallian Youth Leadership program in schools, whereby senior students are trained in peer to peer ministry with the junior students in the school.